Tokyo is a breathtaking city. Most metropolises have 1 urban railway network. Easy. 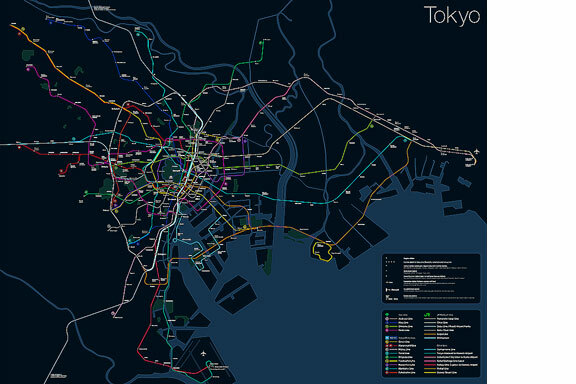 Tokyo, the biggest metropolis on Earth, is a lot more complex. The city has 2 official subway companies, the national railway operates several lines that can be considered metro lines as well, and there are tens of private operated railways that serve may areas just outside the central part of the city. 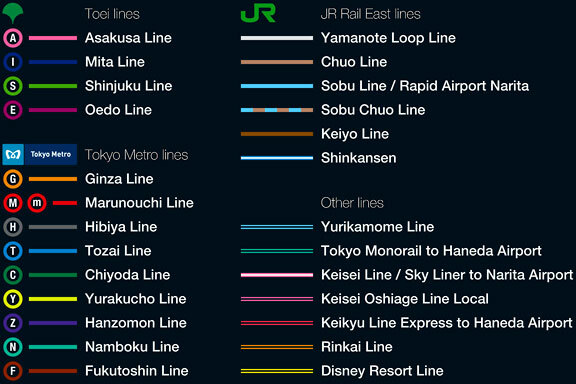 Another problem is that many transfer stations use different station names on each line connected. 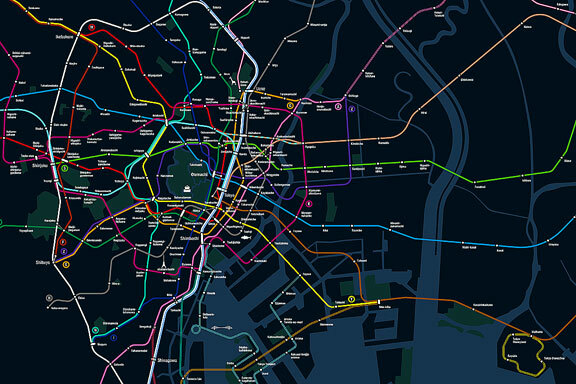 Creating a understandable subway map for this city is extremely complex. Should it be schematic, or geographic realistic? When is it easier to have a short walk than to switch lines? 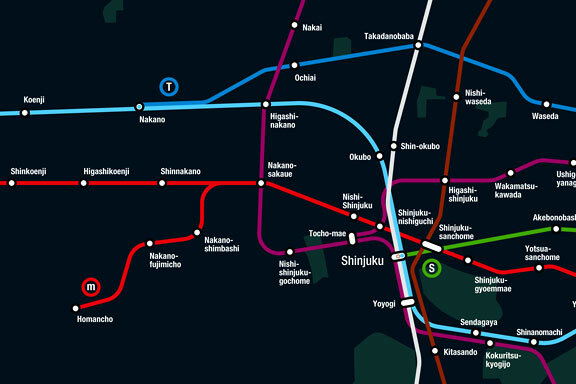 This metro map for Tokyo only shows the most important lines for visitors of the city. That is already 25 lines! 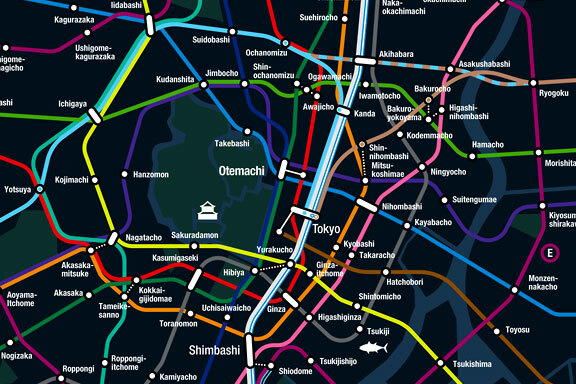 All distances are realistic, and the connections to Airports and Shinkansen trains are clearly visible. The parks that give a good orientation in the grey urban mass of Tokyo are visible. Icons show the most important landmarks. Matching the million neon lights the map is drawn in a night situation with the lines as glowing neon tubes. The map is printed on 100x75 cm photo paper in a limited run, an can be ordered. Send an e-mail or call if you are interested to order.